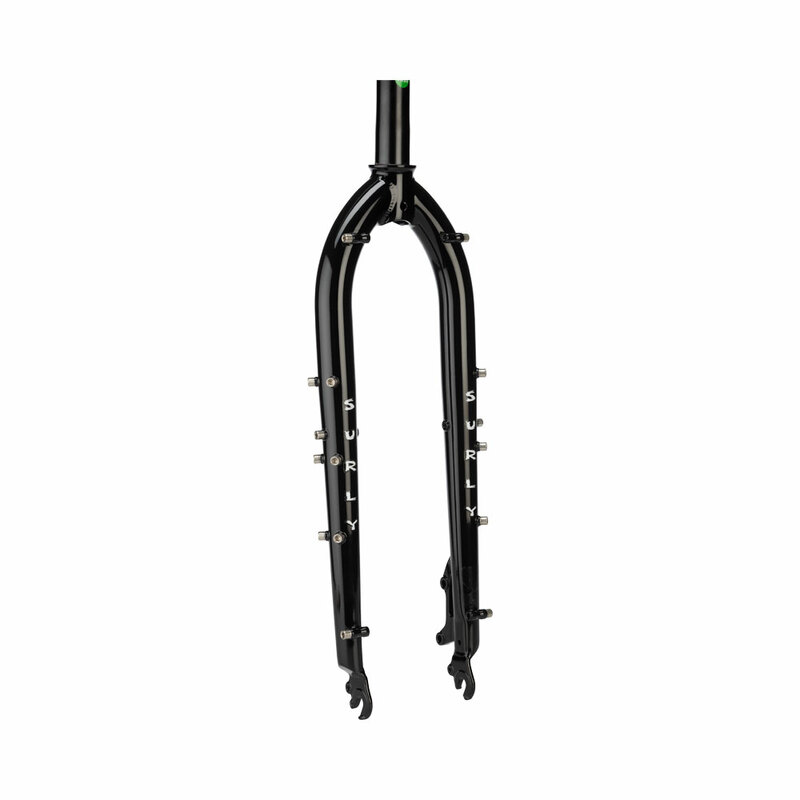 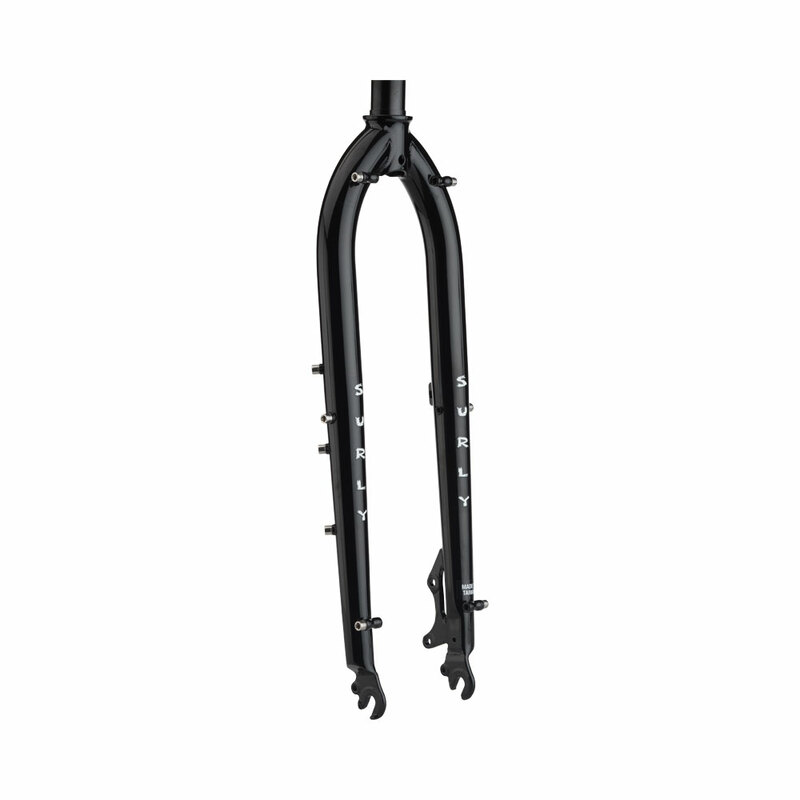 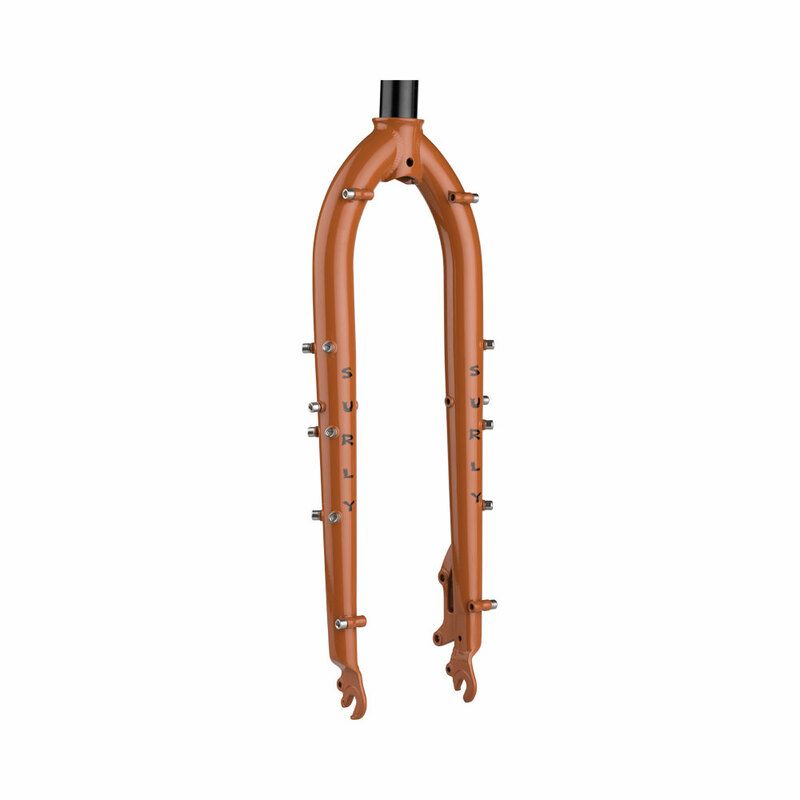 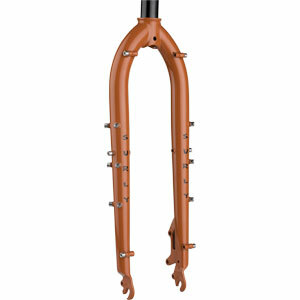 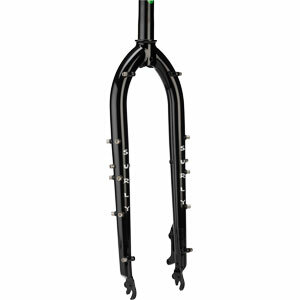 This fork is designed around our ECR frames and is available in both a 29+ and 27.5+ version. 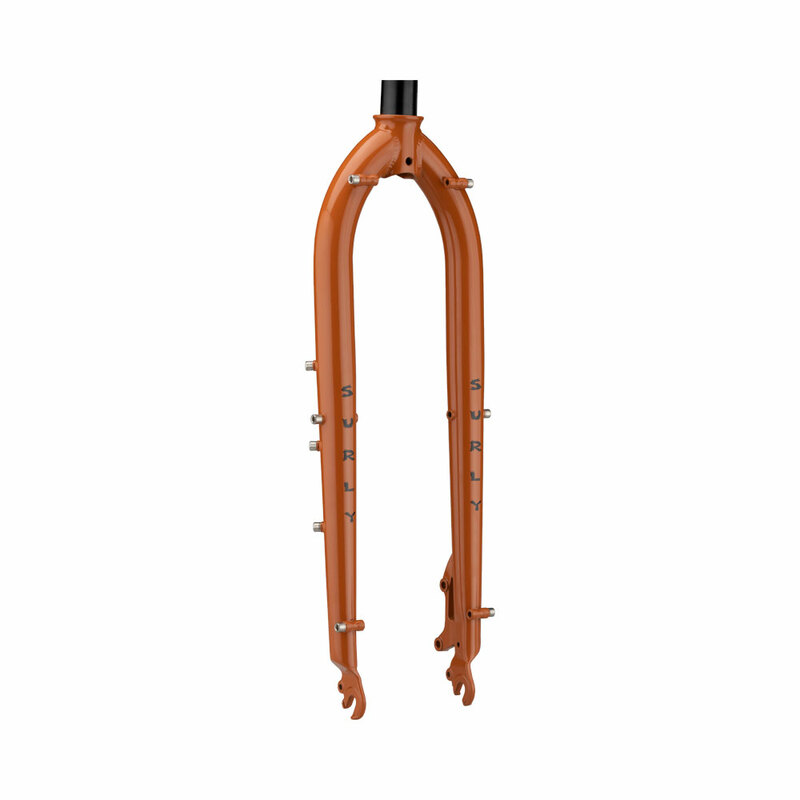 Featuring accommodations for a rack and fenders, as well as a set of Three-Pack mounts on each leg, it’s ready to be away from home for long stretches at a time. 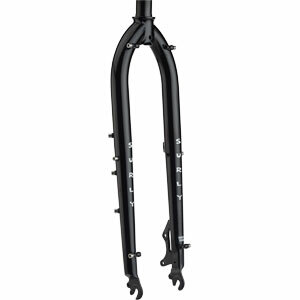 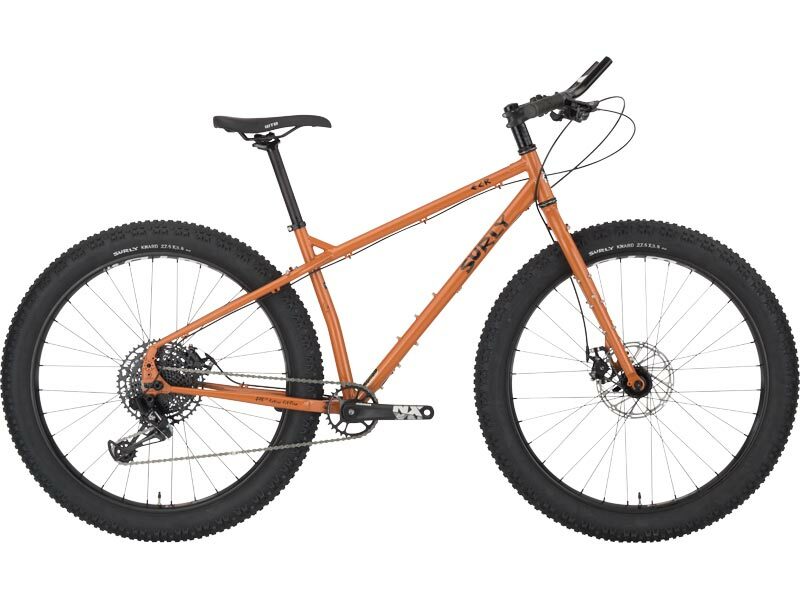 It has 51mm IS disc caliper mounts and brake line guides as well. 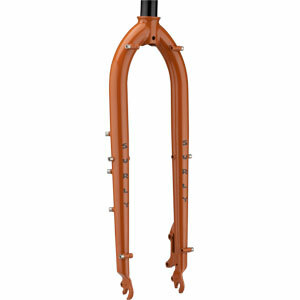 Constructed using the same 4130 Chromoly steel as all our other frames and forks, with a 1-1/8” steerer.